The Mesa One Industrial Battery Charger is Mesa’s highest reliability industrial battery charger designed for cabinet, wall-mounted or rack-mounted applications. It boasts true redundancy, a state of the art controller with monitoring capabilities, and NERC PRC-005-6 compliance capabilities. 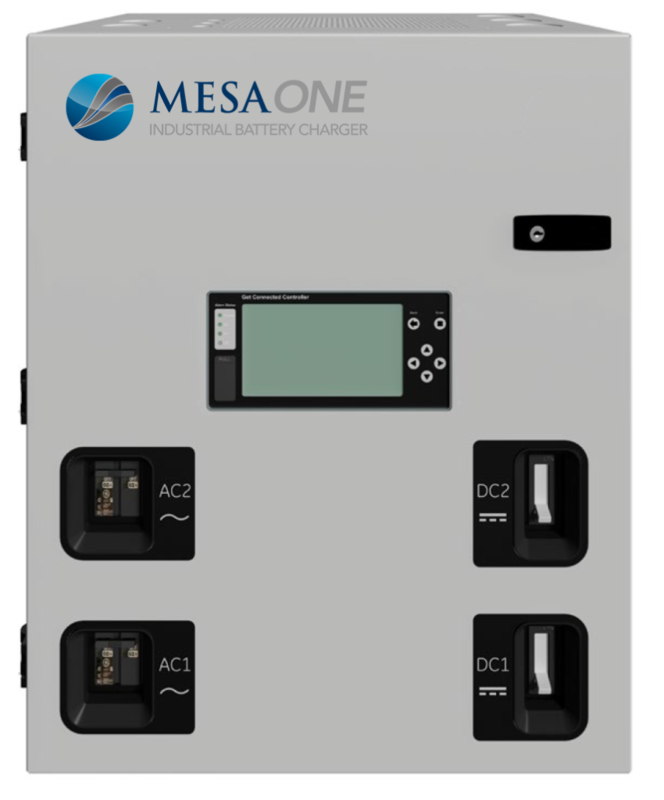 The Mesa One series battery chargers can be configured for 24, 48 or 125VDC output with capacities ranging from 20A to 300A, using modular, high speed switching rectifiers. This provides scalability as well as significant higher power compared to traditional SCR based chargers. The system features an integrated, simple to operate, advanced monitoring and control system using field proven technology that offers market leading reliability and availability. Advanced maintenance and monitoring solutions provides minimal mean times between repairs.